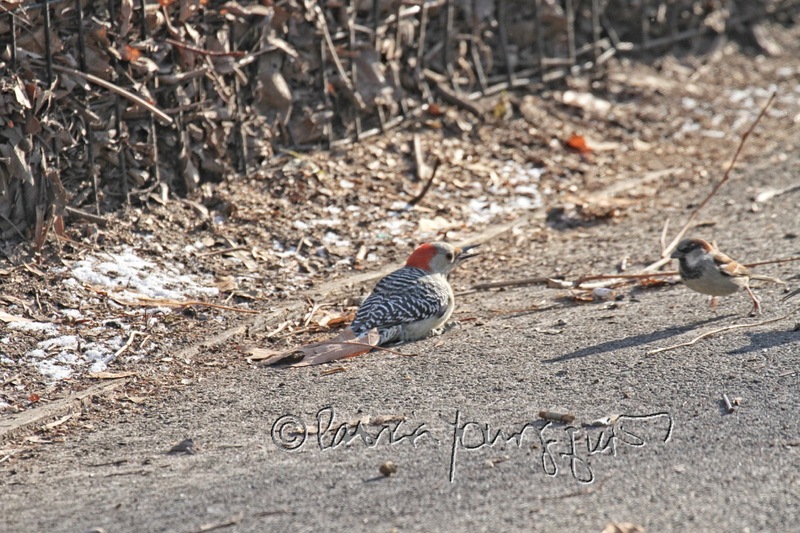 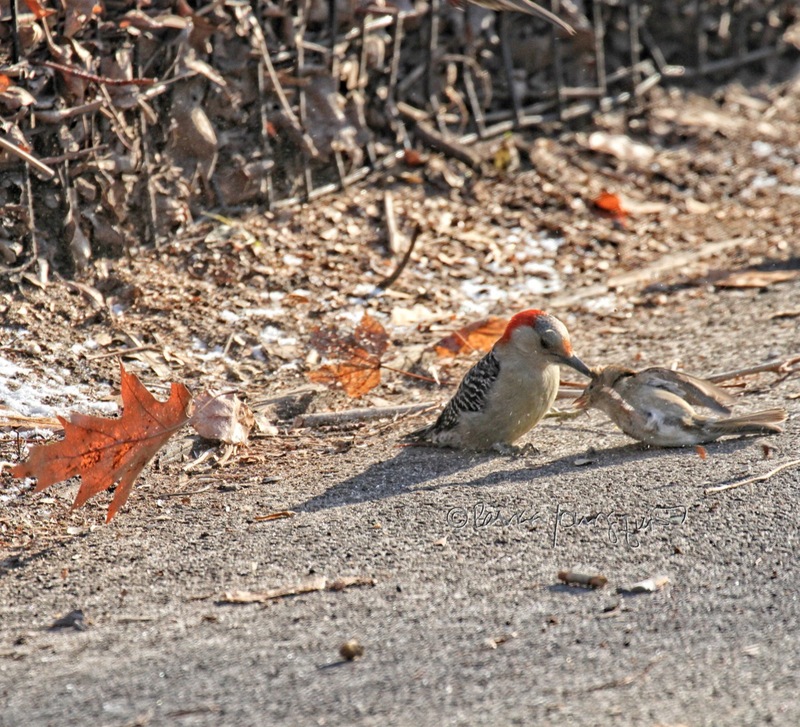 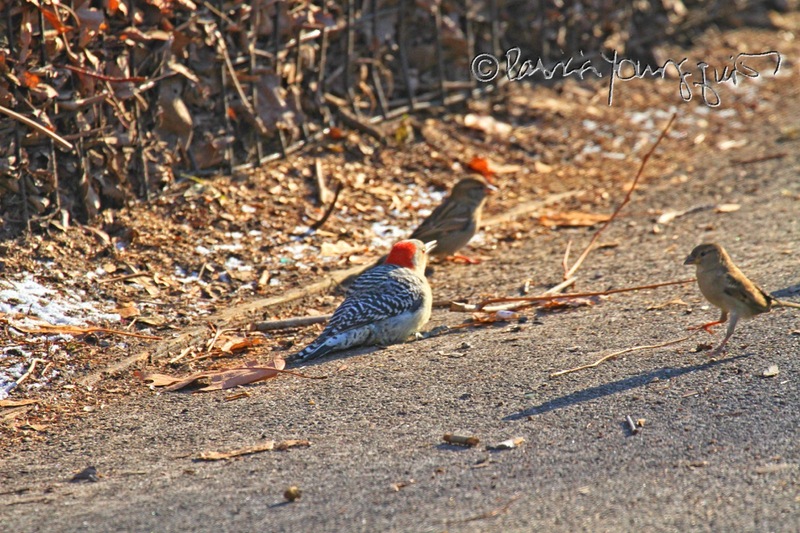 The three photographs atop this entry feature an encounter between a female Red-Bellied Woodpecker and a house sparrow that I witnessed when I was walking in Central Park yesterday. I had come to the park with my DSLR to try and find the Great Blue Heron bird type that I had stumbled upon yesterday when I was in the park, with only a pocket camera. But alas, I did not see any Great Blue Herons, but, I did come upon this female Red-Bellied Woodpecker, a bird type that I'd never seen before. 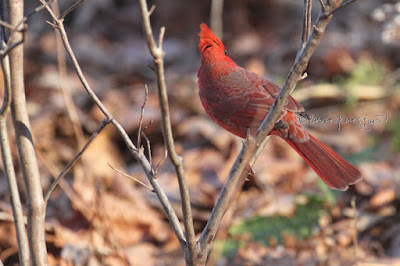 I confirmed the bird's ID with Amanda Remsberg, a bird rehabber. 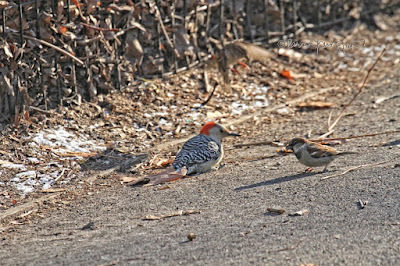 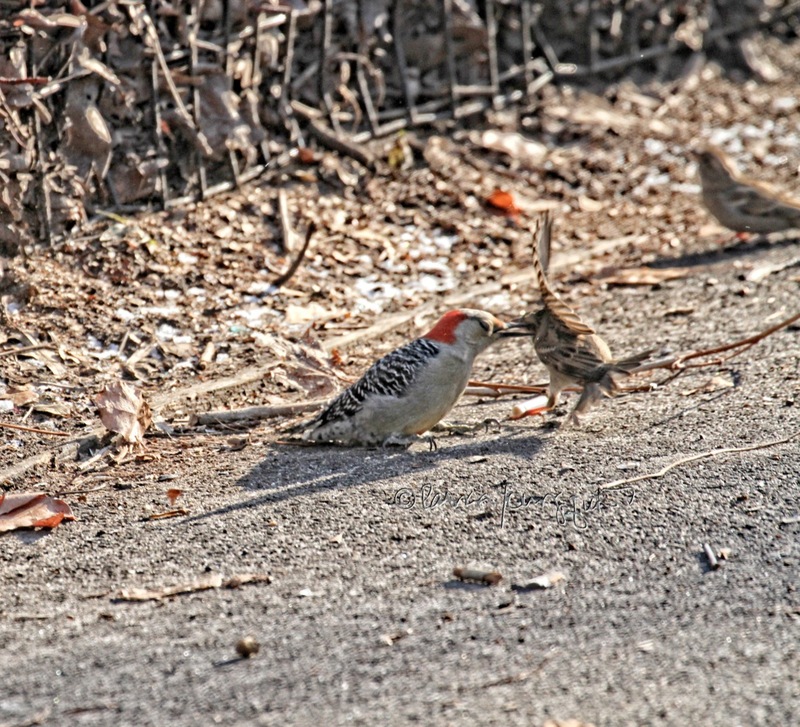 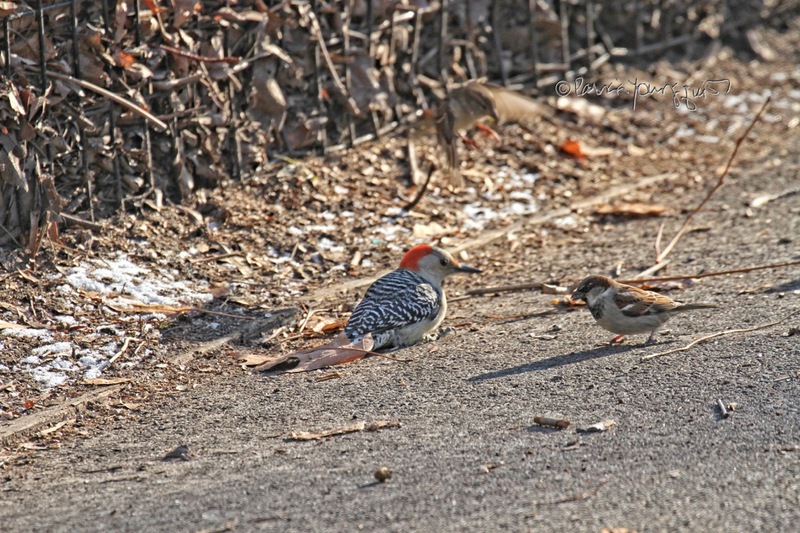 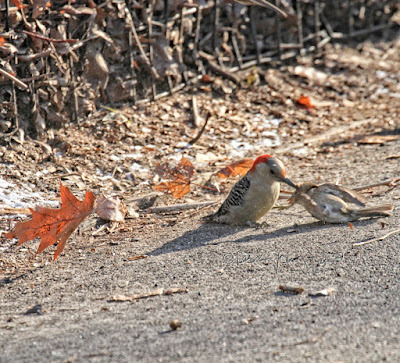 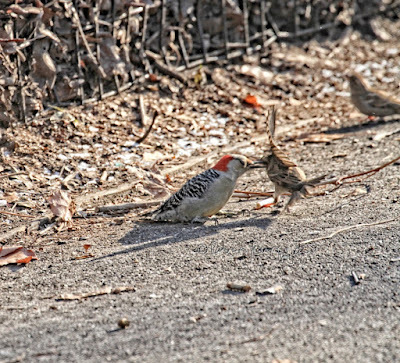 As you can see in the pictures above as well as in the ones that are directly below, the Red-Bellied Woodpecker and the sparrow were at odds with each other. 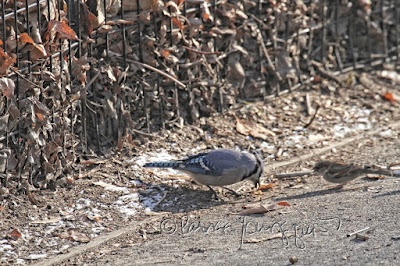 Neither of them tried to have a truce, and I'm not sure how their dispute ended, for I did not stick around, rather, I continued on my mission in search of a Great Blue Heron. 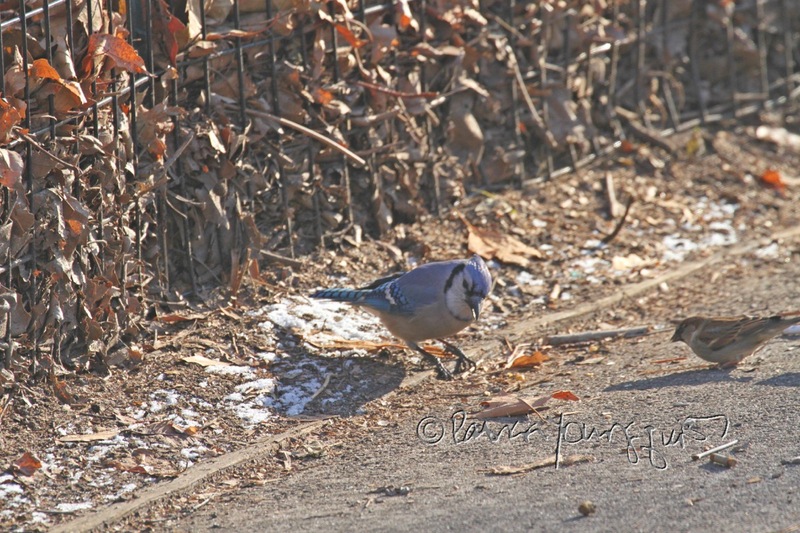 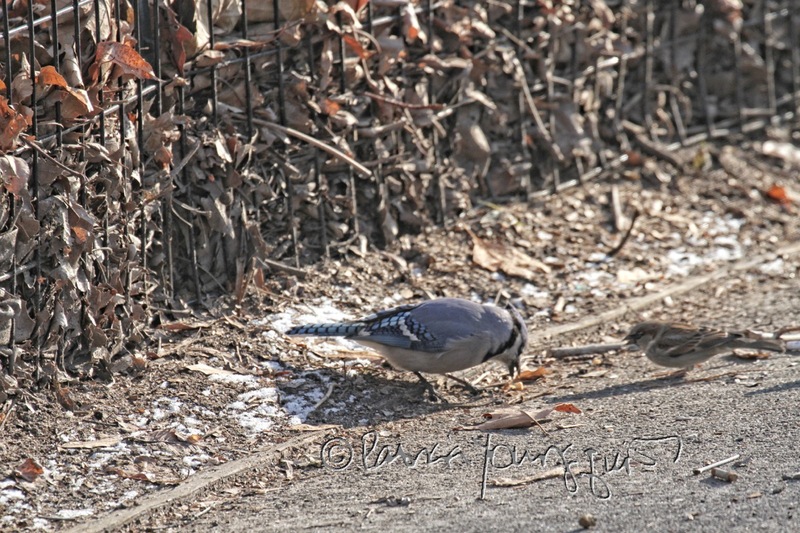 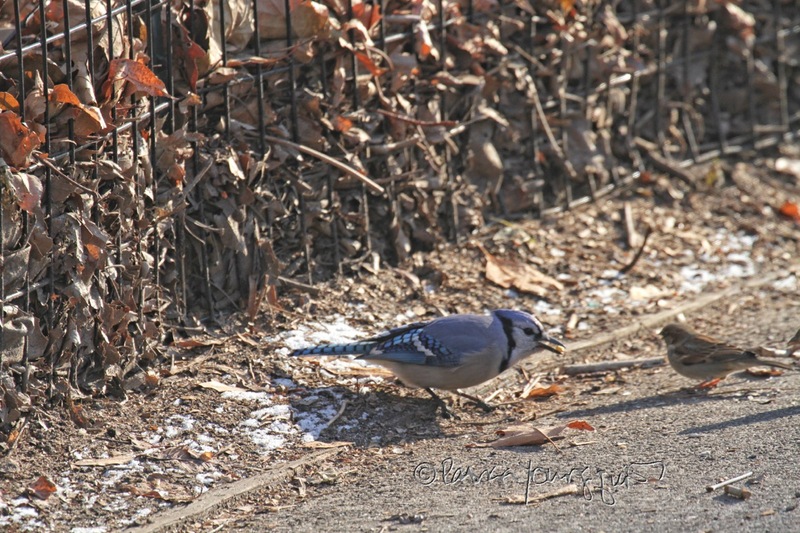 The next two avian creatures that I met were a lone blue jay and a lone sparrow. 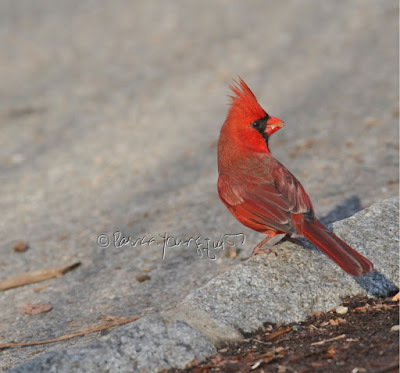 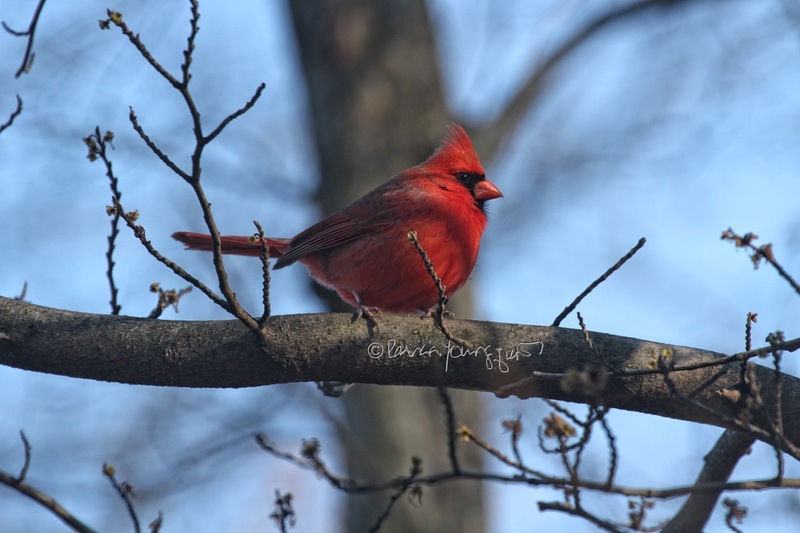 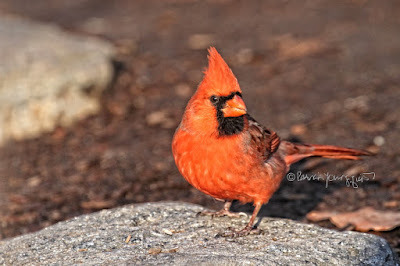 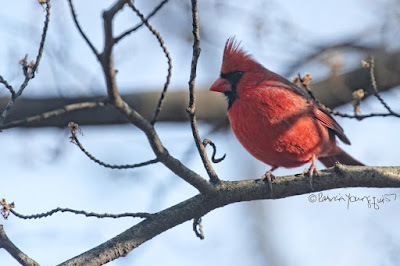 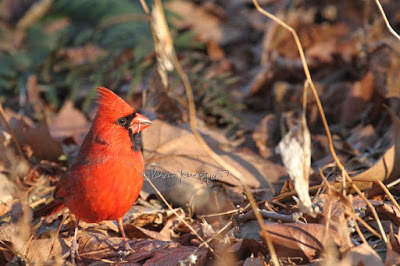 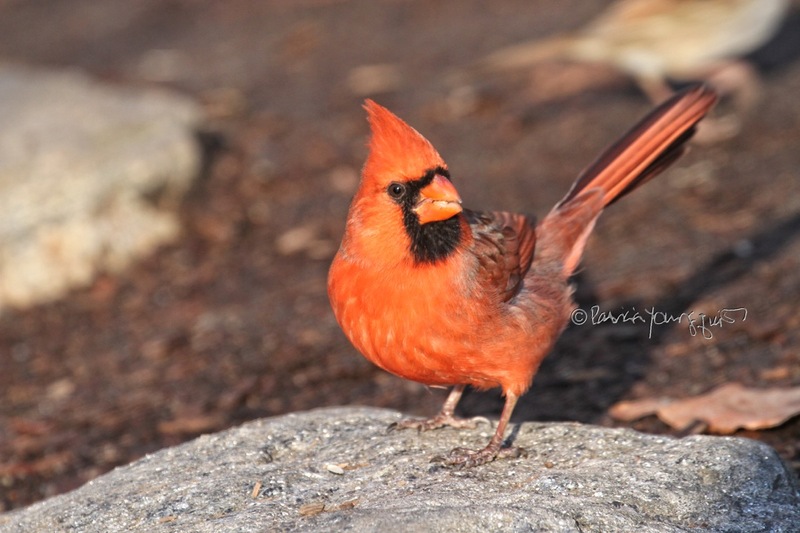 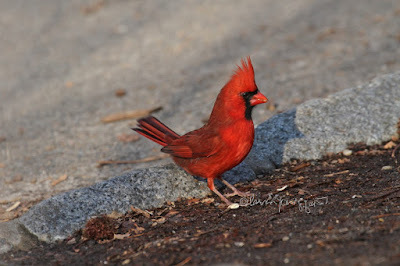 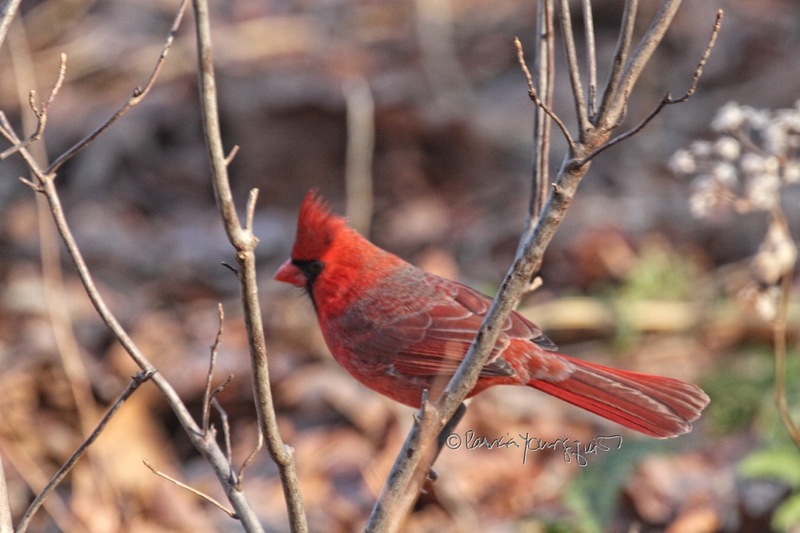 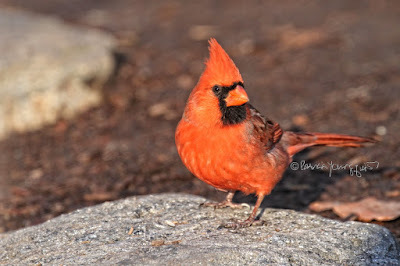 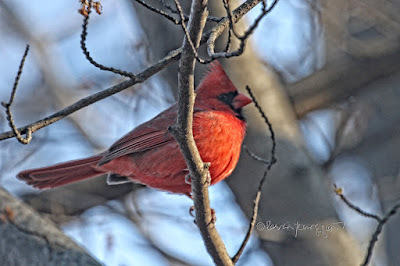 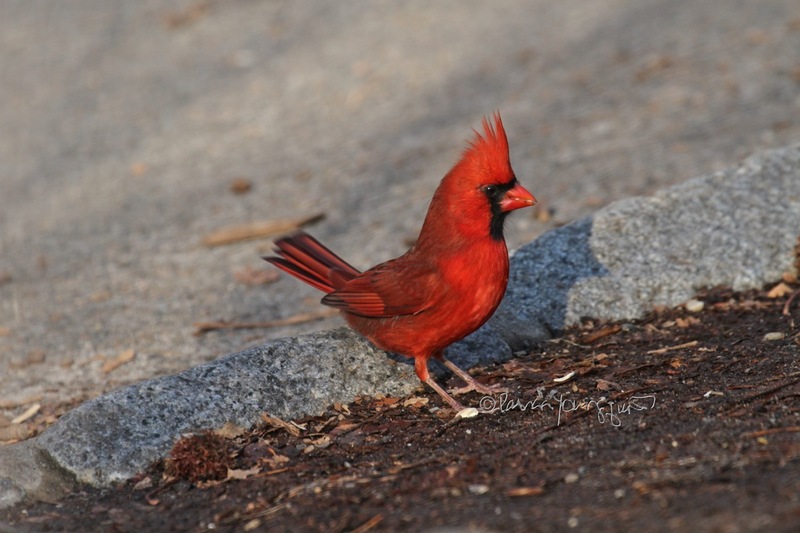 And I also came upon Northern cardinal (male) in two different parts of the park. 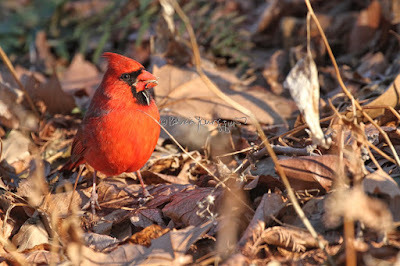 I saw the one in the next set of photos first. 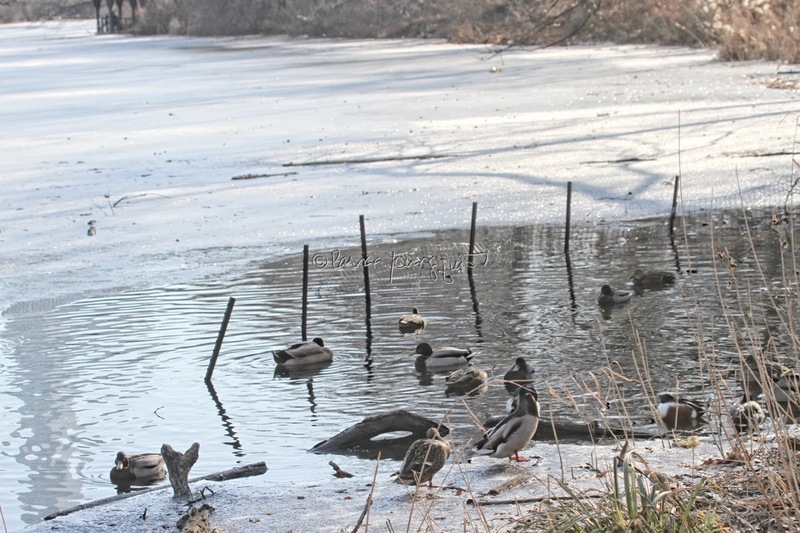 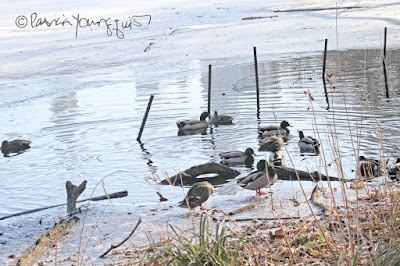 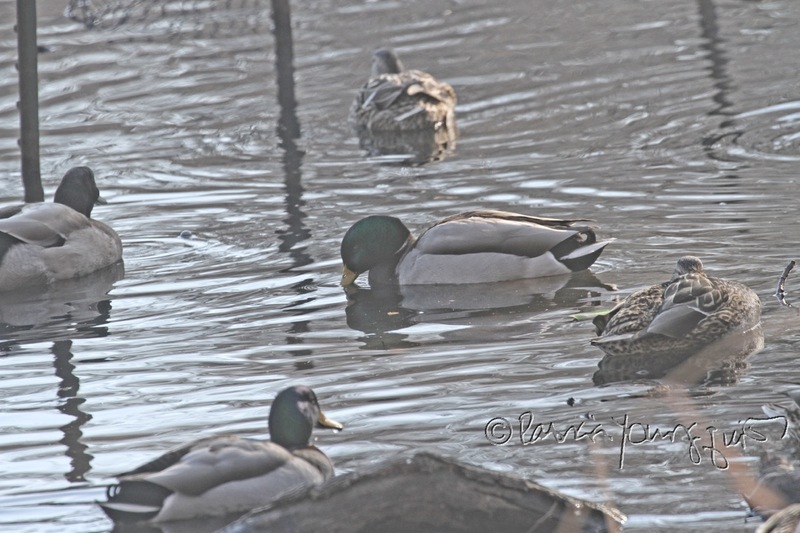 But when I got to the small unfrozen part of the lake where the Great Blue Heron had been the other day, I only saw an array of Mallard ducks, who are always lovely to see. They are featured in the following pictures. And there you have it dear reader, photo-ops of the cast of characters who I met in my attempt to catch another glimpse of the Great Blue Heron!